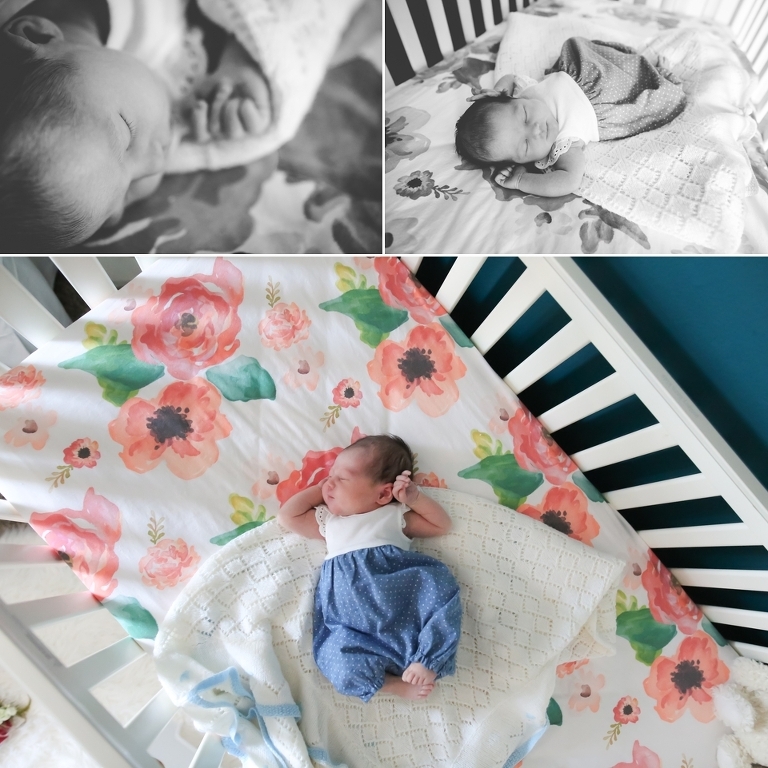 Today on the blog I am sharing a beautiful newborn session. This family is a military family and the sacrifice this little girls daddy makes every day is so admirable. She is going to grow up to be so proud of her family and where she came from. Several days before this sweet girl was born I was meeting her mom to discuss the upcoming session and we were chatting about how excited we both were for that baby girl to make her appearance. Her Daddy was deployed during most of the pregnancy and they just wanted to make sure she stayed comfy in there until he came home. Luckily, she made it until about 2 days after her came back. As I went back for her newborn session I couldn't believe how cute she was, and hardly cried at all. Her little squeaks were so cute and had us all smiling. 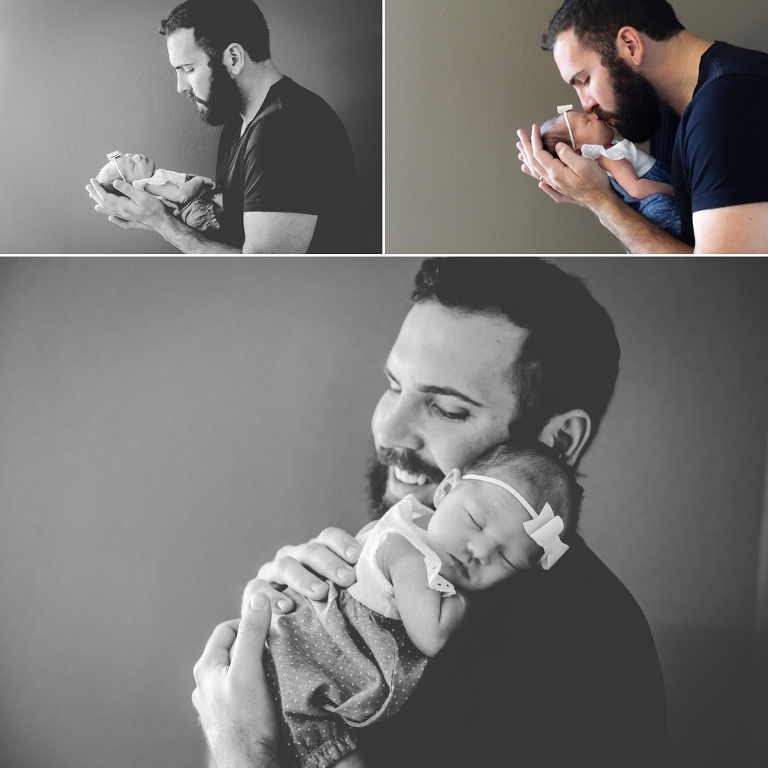 I was meeting Dad for the first time during her newborn session and I kept telling his beautiful wife how proud he looked. He was so in love with his baby girl, and she already had him wrapped around her little finger. Not only was Mom and Dad so in love with their sweet girl, their first "baby," the dog, Ernie, was so protective and wanted to make sure his little sister was well taken care of at all times. 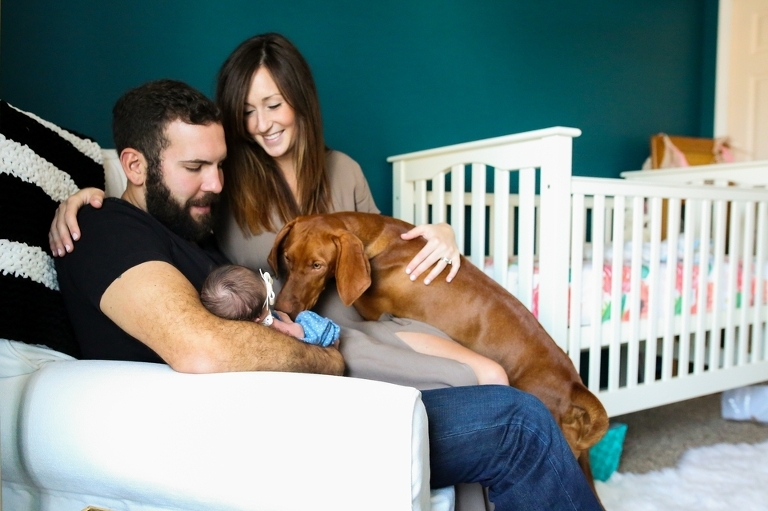 If you are in the Colorado Springs or Denver area, please consider documenting your baby's first couple weeks with an in home newborn session. You won't regret it!